You will love this quick no prep freebie and your students will adore this Color By Numbers worksheets while learning and reviewing important skills at the same time! You will love the print and go ease of these printables. As always, the answer key is included. 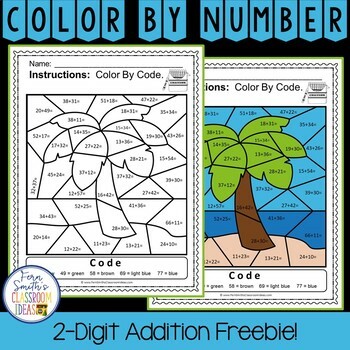 Perfect for your math center, small group lessons, RTI pull out, seat work, or homework. Click here for the perfect bundle for this skill!